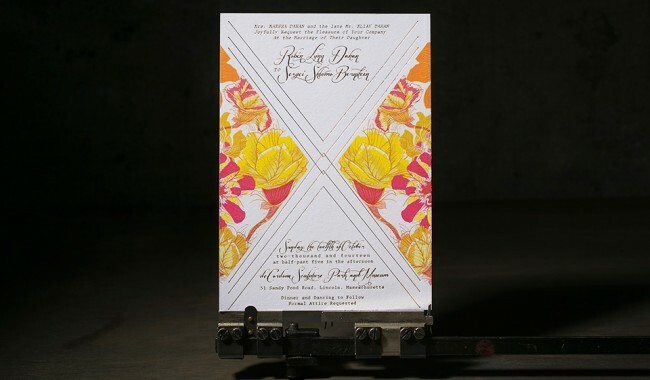 Crane Lettra 110# cover in fluorescent white. 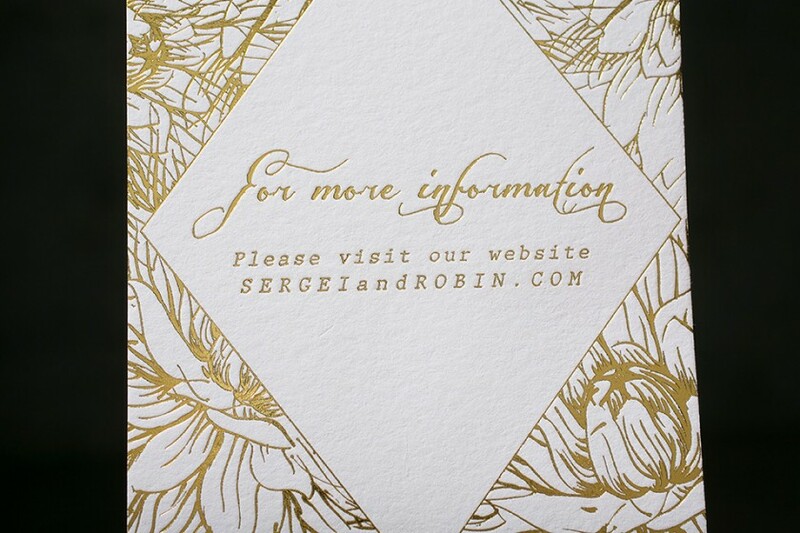 digital cmyk printing with gold shine foil stamping. 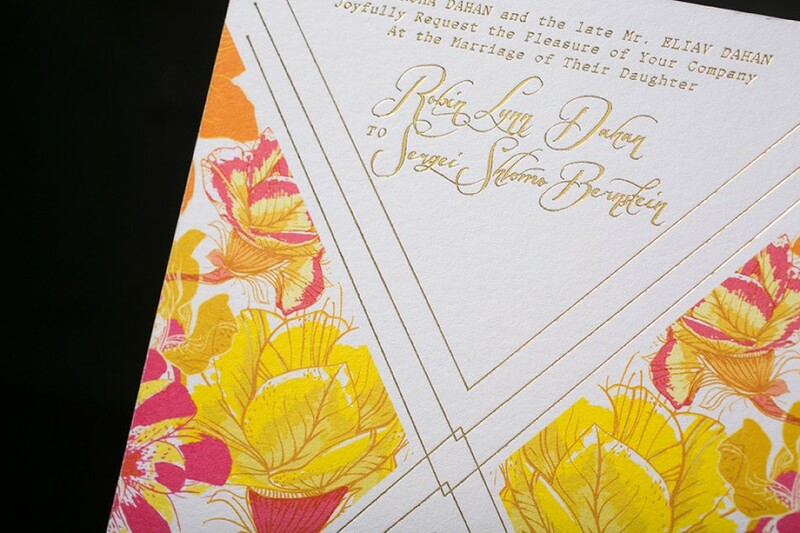 printed on our kluge press by Bob. 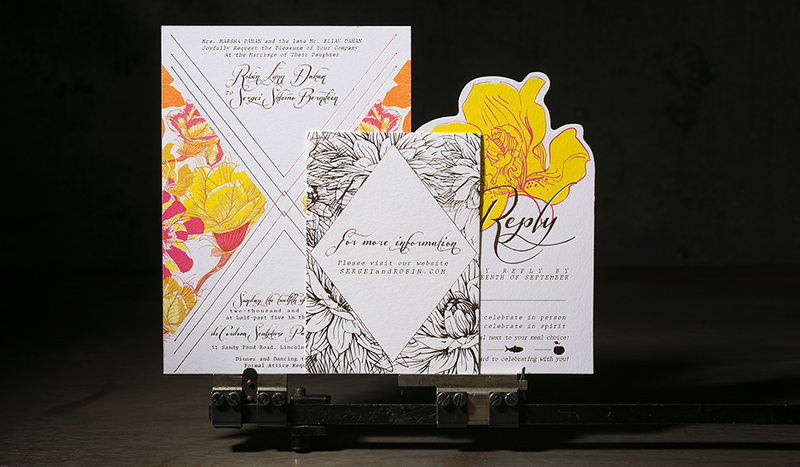 We digitally printed the invitations (5 x 7) and reply card (approximately 3.75 x 6.125) before foil stamping these floral wedding invitations with gold shine foil. 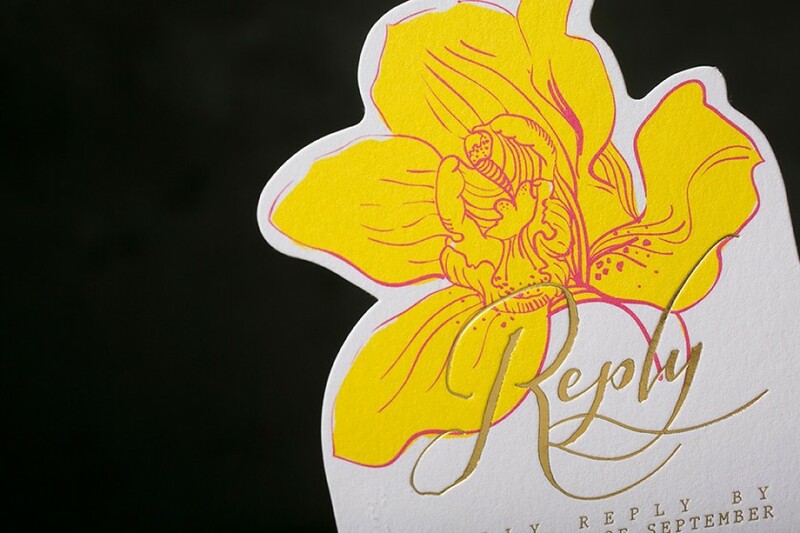 The reply card was personalized with a gorgeous die-cut shape, while the website card (3.5 x 4.875) stayed simple and elegant in gold shine foil.